I have been absent from my blog for long periods of time lately due to assignments, studying and exams (which are fast approaching!). However, in between all this, I thought it was definitely time for another blog post, even if it meant not to be as long as usual. With that, I decided to have a short Sunday study break and share my latest discovery that I am absolutely loving. Why I generally prefer perfumes opposed to body sprays: I find them to be long-lasting since they are stronger and heavier than body sprays as well as the fact that they have somewhat a more pleasant smell, containing higher amounts of aromatic extracts and oils, as a result of their high concentration. I am not a great fan of body sprays simply because they are used in a similar way to spray-on deodorants, which I am also not crazy about. 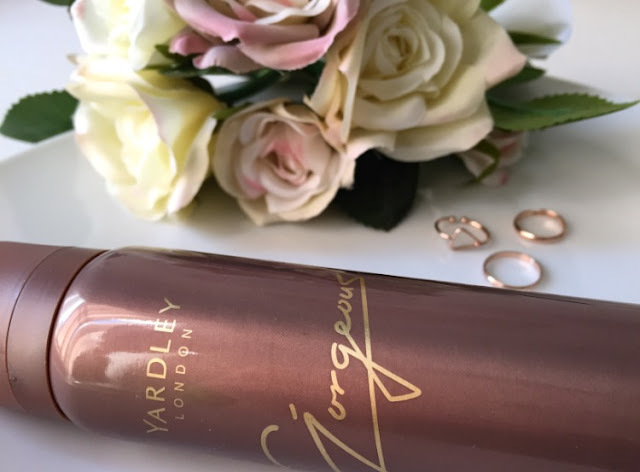 BUT: I popped into Clicks and while browsing through the different products, I picked up Yardley’s Gorgeous Body Spray and immediately fell in love with the feisty floral scent. 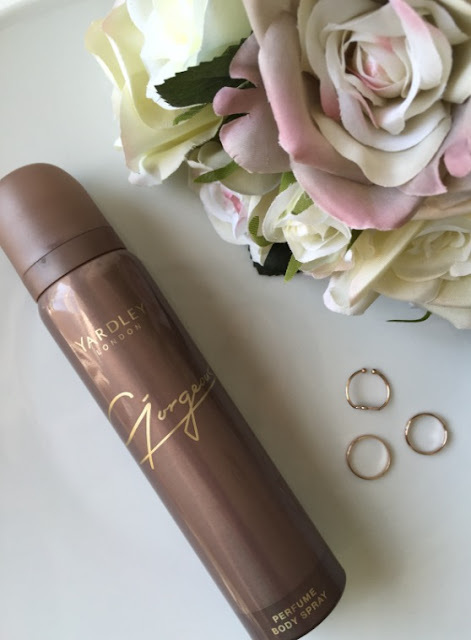 Gorgeous blends hints of mandarin and orange blossom with soft touches of jasmine and musk and the end-product is lovely! The bottle looks purple in the photos, and I am not too sure why, but it more of a goldy-colour, which makes it even more attention-drawing! 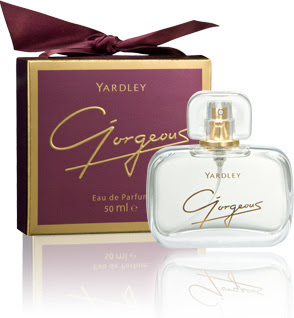 Yardley has a whole range of Gorgeous products, including a perfume (below). 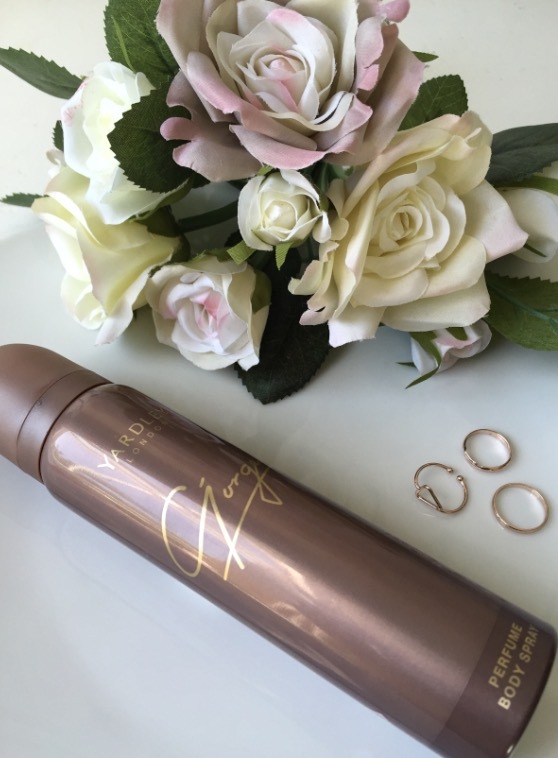 The perfume has been described as long-lasting, feminine and sophisticated. I have not yet come across the perfume but definitely agree with this definition is terms of the spray. I love the scent (I can't stop smelling it while doing this review!) and definitely recommend you give it a try!